Fever Ray is the creation of Karin Dreijer Andersson, one half of the lauded Swedish act, The Knife, and she makes music to get spiritual to. Combine the best brooding qualities of downtempo and ambient music (picture Hooverphonic meets Enya), with the mystery of ethnic music from countries like India or Iran, and you have the multi-cultural sound of Fever Ray. Andersson’s music strikes the strange balance between poppy and completely foreign, which makes it simultaneously accessible and alienating. Ultimately, the music is about as accessible as things like yoga and meditation are, and it gives off a similar vibe; it’s certainly not for everyone, and its appropriateness is highly dependent on mood. 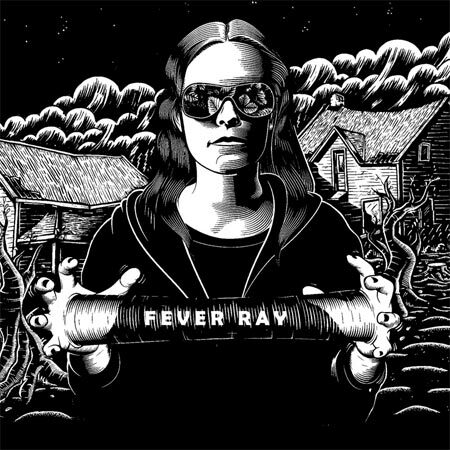 While bands in the same vein sometimes blend into and trip over one another, Fever Ray manages to stand strong with its own distinctive sound. Imagine an early Nelly Furtado before she made the mistake of crossing into the hoochie pop world, with more organic and tribal elements, and you’re getting part of the Fever Ray picture. Add the feelings of mystery and emotion stirred up by a good Bjork track, and you’re getting closer. Nearly every song on the album has its roots in airy vocals and a combination of dynamic pounding rhythms and chime-like sounds, creating otherworldly and slightly distant soundscapes. At their most tender moments, Fever Ray is reminiscent of abstract artistic imagery — of cavern stalactites slowly dripping water, or of native tribes basking in the moonlight. At their most powerful moments, they are a hypnotically dark force that relies heavily on repetition and rhythm. The album begins and ends with all-encompassing droning that completely envelops the senses, bringing listeners full circle through their sonic journey of Fever Ray. Forgotten Saints That Never Were But Should Have Been.